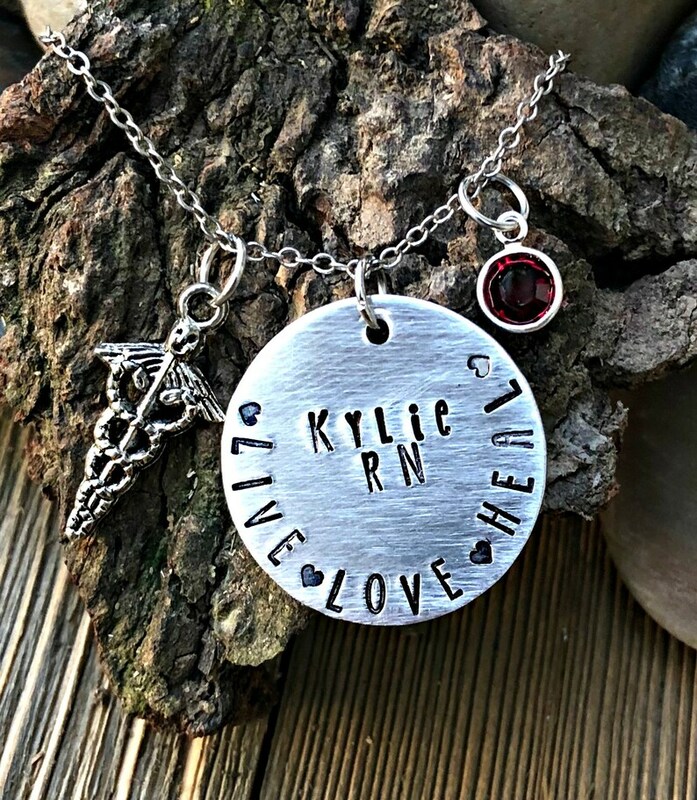 I have hand stamped a 1" aluminum washer with your name and credentials plus added a caduceus charm to create this wonderful piece. I can stamp any saying you request or a name as long as it fits. Chain included.